Congenital hypothyroidism (CH) is the most common preventable cause of mental retardation in children. 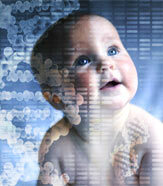 Diagnosis is difficult at birth without neonatal screening. Neonatal thyroid screening was established in Prilep, Republic of Macedonia as an integral part of the nationwide screening program. To estimate the prevalence of CH in this region, neonatal thyroid screening was performed on 9757 newborns, during the period 2002-2011. The DELFIA method was applied to measure the thyroid-stimulating hormone (TSH) concentration in dried blood spot samples on standard filter paper taken 48 hours after birth by heel-stick. The TSH cut-off level was 10 mU/L. The neonatal thyroid screening coverage was 93.4%. Eight newborns with CH were detected, with an incidence of 1:1220 live births, significantly higher compared to the nationwide results 1:2602. The TSH level was not significantly dependent on the gender of the newborn. There was a statistically significant difference between the TSH level and the timing of newborn screening sampling (p <0.05) and between the TSH level and the newborn birth weight (p = 0.01). One point ninety-two percent of newborns with TSH levels above 5 mU/L indicated an iodine sufficiency in Prilep. The incidence of CH in Prilep, which is higher when compared with that reported in surrounding countries, might be a consequence of the higher percentage of the Romany population in this region. Further analysis of this population in other regions is warranted. Keywords: Congenital hypothyroidism (CH); Neonatal thyroid screening; Thyroid-stimulating hormone (TSH).